From: Candler, Allen D. and Clement A. Evans, eds. 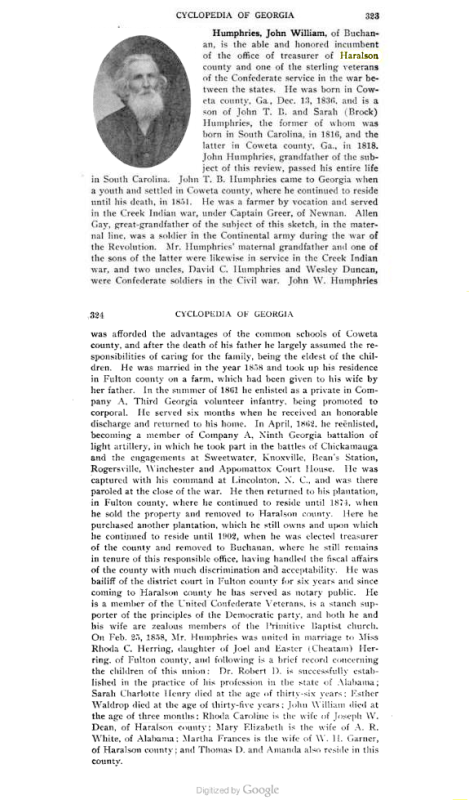 Georgia, Comprising Sketches of Counties, Towns, Events, Institutions, and Persons, Arranged in Cyclopedic Form. Volume II. Atlanta, Ga: State Historical Association, 1906.